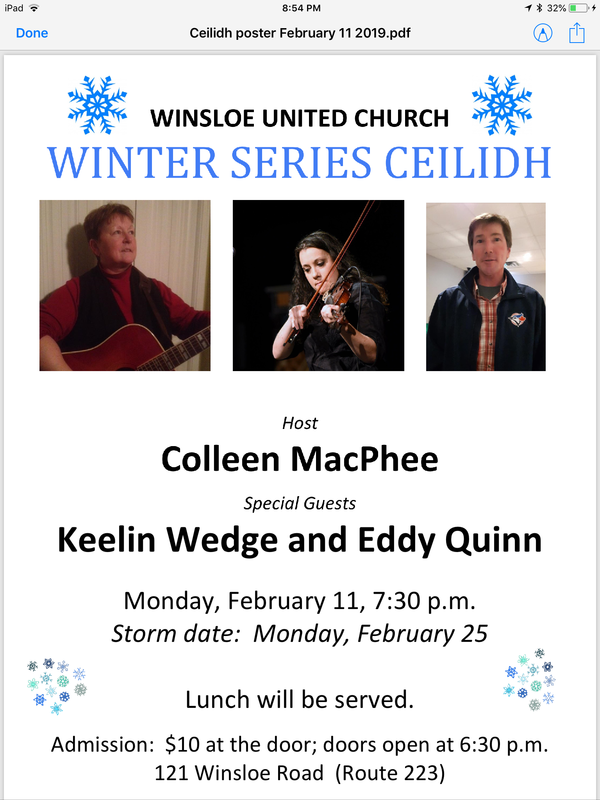 Host Colleen MacPhee will be welcoming multi instrumentalist, the talented Keelin Wedge who can keep your toes a-tapped with her fancy guitar picking and fiddle playing. With the amazing vocals of Keelin Wedge and Colleen MacPhee, who stars as Rita MacNeil in Lady Singers Of Our Century, they will be singing some of your favourite songs from a variety of artists. There will be a light lunch served. Admission is $10 at the door. Doors open at 6:30pm. Storm date for Monday Jan 14 will be Monday Jan 28.